Our first interview was with Abi on the day before the General Election, 7th June 2017. Before the day we asked her for a written statement about herself, this is what she sent. During the interview Abi explored these issues at a deeper level, and so much more. Abi is now looking to move to London and study for an MA. Thanks Abi that was great! All the very best for the future! Saadiyya Uddin has shared a OneDrive file with you. To view it, click the link below. 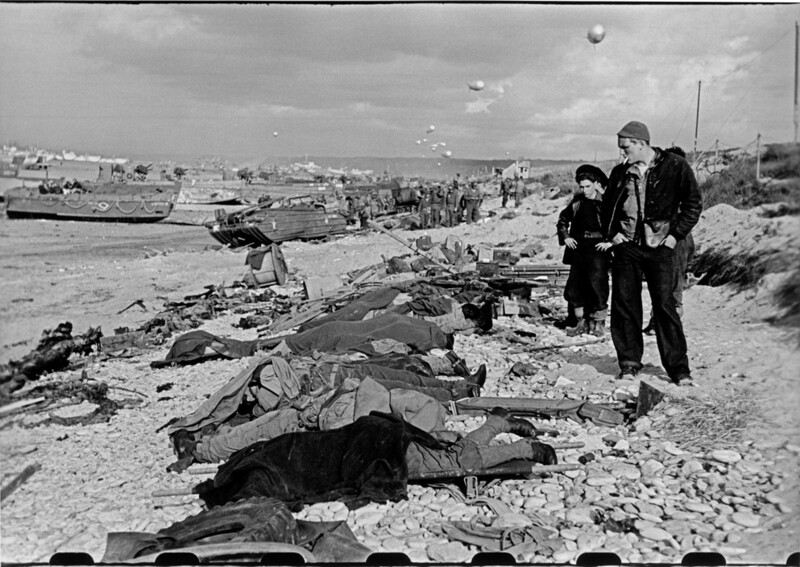 Lack of colour, contrast and a bleak sky leave the photo with a sombre initial impression: The only object easily drawn out from the background a body and soldiers. Strangely it seems to even add detail forcing us to take in the entire image. As the title suggests showing the past corruption of a French beach, recognised for family holidays. A seascape covered in harsh metal and corpses, overlooked by the “victor”. Bodies fading into the pebbled beach, when examined properly draw your mind back to the beach scene, sunbathers long lost to the invasion. The couple in the foreground show odd emotions for the scene – the first hands in pocket with a cigarette; numb to the suffering caused, resigned to his sins for the “greater good”, the other hands on hips frowning, as though clean-up is all that’s running through his head. All was for a good cause and in hindsight seemingly an understandable (though not acceptable) loss of life. Bringing this all back to the seascape is haunting for me – showing the power and flaws of those before whilst invoking such a positive comparative memory. Really bringing me into the photo to question past, present and future. 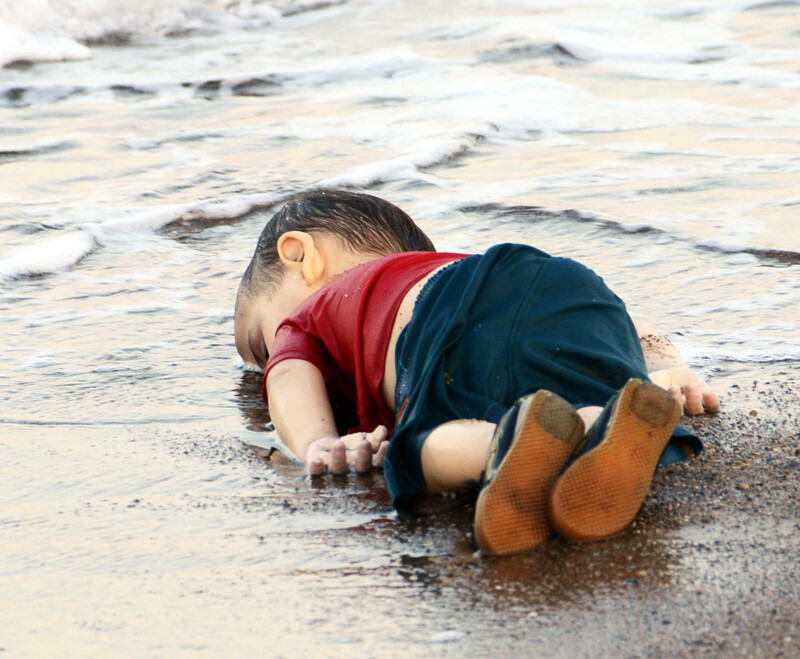 This photograph is by French photographer David De Beyter. The majority of his work focuses on incorporating large structures and sculptures he designs and creates beforehand. This photograph in particular features three tiled buildings which appear to be half “sunk” into the ground. The location of the photograph is based primarily in a large field in front of some sort of small town which is lighting up the dark night sky with a warm glow. What I admire most about this photograph is the lighting and composition. The distance of the structures from the warm background makes me feel disconnected and out of place, and the floodlight in the foreground emphasises this by highlighting the out of place buildings in a light which juxtaposes with the tones in the sky behind it. I find this image to be quite thought provoking as it raises many questions about the narrative behind it as well as leaving room for interpretation. The fact that it was shot during night time also adds to the dark and moody atmosphere by forcing you to focus on the remotely lit and disconnected abstract structures in the foreground. Murder in Hell’s Kitchen is a photo that makes me think for a multitude of reasons. 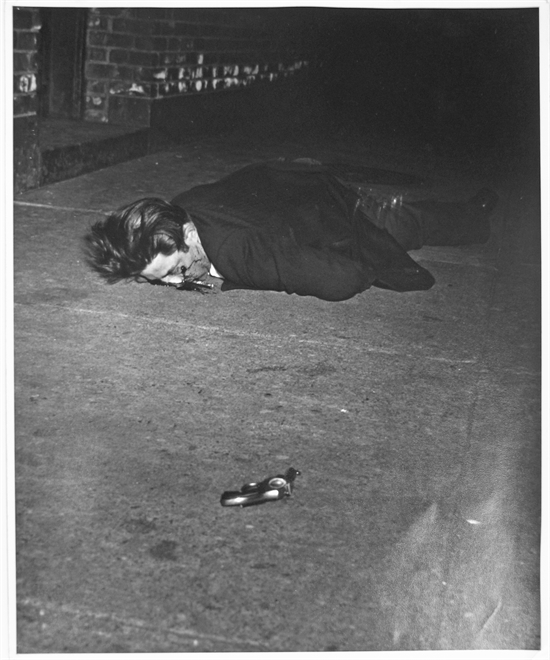 The first reason being that it is such a macabre image; it’s a man who has been shot in the face. Another question the photo makes me ask is, who is this man? If I didn’t know the title of the photo I would still be able to tell that he is a murder victim because of the gun that is on the floor facing towards him. The photo kind of desensitises me to the fact that the victim is dead because it’s shot in black and white; I know that it is blood on the man’s face, however, it just looks like a black mark because I cant see any of the red tones. I like how the photo fades to black in the background, engulfing the man’s body and it gives a sense of the unknown which is a good metaphor for death. On the flipside of that, there is quite a lot of detail and light in the foreground from Weegee’s perspective.